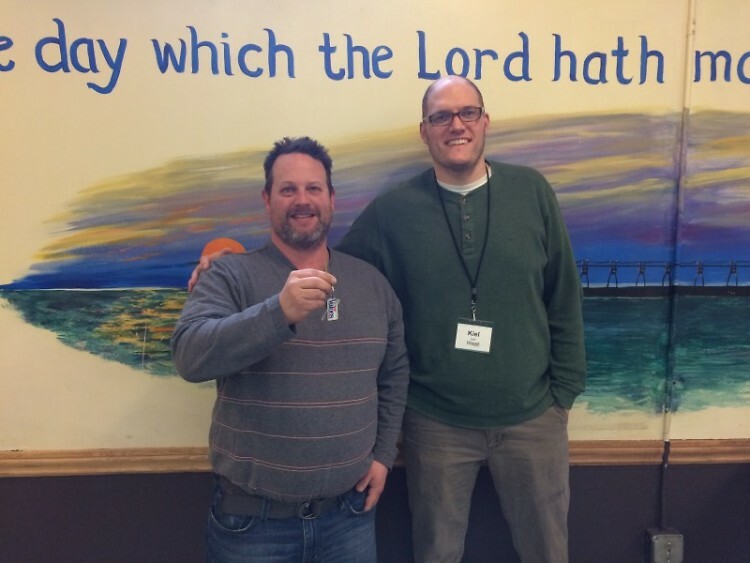 After spending months working with Kiel, our Resource Coordinator, Chuck was able to receive keys to his very own apartment. As Chuck began to frequent Dégagé more, he learned about other services that were offered to him. Along with beginning to receive his mail here and renting a locker to place his belongings in, he also began doing his laundry, taking showers, and getting haircuts in our Life Enrichment Center. Our Resource Office provided him with bus passes and a walker, and our ID office helped him to obtain both his birth certificate and state ID. For Chuck, the programs and activities that Dégagé offered him were a healthy distraction from the streets. He says, “I love the fact that groups come in to volunteer to provide things like bingo.” All of these resources have been integral to Chuck’s progress in getting off the streets and into his own home.